Having done the hard work, it's time to test your report! There's no sign of the Excel part of the report. 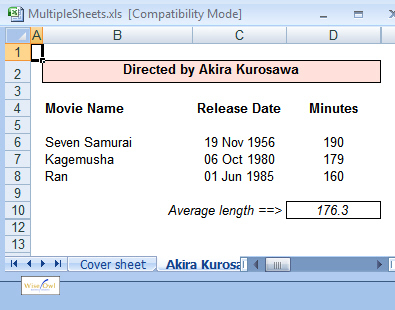 This is because the RenderFormat.Name is EXCEL, so the Hidden property of this report is set to True. 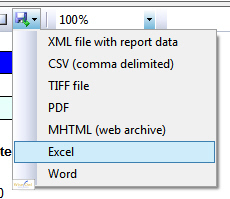 When you choose to view the report in Excel, using the toolbar as shown here, you'll get an Excel workbook. 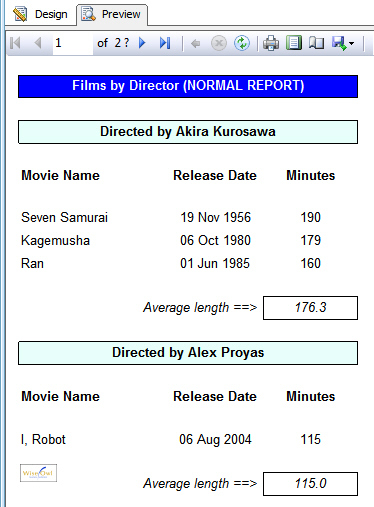 The films of the first director are shown here (immediately following the cover sheet). The page break before each group member ensures a new worksheet is created for each director, and the PageName property ensures unique worksheet names.